Out of the Blue is pretty much in the same vein as ELO's previous release, A New World Record. Again, it is solely a pop album from beginning to end, except this time it was a two-record (now one CD) release. The most notable thing about it is the fantastic flying saucer cover, one of the best album covers in rock history. However, the music is far from being spacey. It's basically filled with cheesy songs about nothing in particular with titles like Turn to Stone, Sweet Talkin' Woman, Night in the City, Mr. Blue Sky, and so on. This would be one of their most popular albums and one of their best sellers. 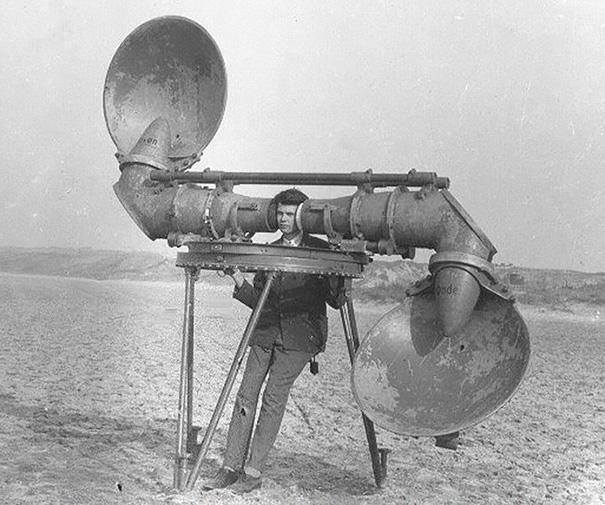 I must admit that I did find one song interesting, that being The Whale, with it's vocoder passages and actual recordings of whale song. Also of note is the four-track "Concerto for a Rainy Day" featuring Standin' in the Rain, Big Wheels, Summer and Lightning, and Mr. Blue Sky. However, this is not a progressive rock epic. It's just four pop songs tied together under a loosely related theme. Overall, it's nice album, but it's not progressive rock. Therefore, I can only recommend this to fans and collectors only. All others avoid. Start with ELO II or On the Third Day instead. They are far superior to this. I listened to this album for the first time in December 1977. It is not a Progressive Rock album. It is a Pop Rock album with "Progressive" arrangements. It is much better than "A New World Record", IMO. 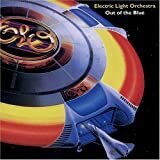 The arrangements are very good, and they show the eclecticism of ELO with orchestral and choral arrangements done by Jeff Lynne, Richard Tandy and conductor Louis Clark. Again, the songs are not very complicated, but the arrangements are great. Also there are some Bee Gees`Disco Music influences in the Falsetto vocals. But the songs in this album are better than in "A New World Record". -"It`s Over": with a great piano arrangement by Richard Tandy. -"Sweet Talking Woman": with very good Classical Music orchestral arangements. - "Across the Border": with "Mariachi Band" trumpets, similar to the arrangements done by Herb Alpert with The Tijuana Brass in the 60s. -"Jungle":one of the most different songs and arrangements in ELO`s repertoire, with a lot of percussion instruments, sound effects, and a "Tarzan shout" included with humour. -"Believe Now" and "Steppin`Out": great orchestral and choral arrangements. Two of my favourite songs in this album. - "Concert for a Rainy Day":again, great orchestral and choral arrangements. The lyrics for this "Concert..." start with a "bad weather" and end with "the sun shinning again in the blue sky". -"Sweet is the Night": with some parts of the song sung by Kelly Groucutt. The predominant theme in the lyrics is broken communication between a couple, loneliness due to a broken relationship. Both recurrent themes in some of ELO`s albums. All the vocals (with the exception of the choir) in this album are credited to Jeff Lynne, Kelly Groucutt and Bev Bevan, and the vocal harmonies are great, even with the Falsettos a la Bee Gees. There is a special credit for Richard Tandy in one of the inner slevees of the old 2 L.P. set:"Unique keyboard sounds and effects from the magic finges of Richard Tandy". He particularly shines playing in this album a great Classical Music piano arrangement in "It`s Over". 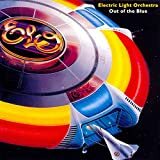 In my opinion, this album represents the peak of ELO as a Pop Rock band. This album was done with a lot of work, it seems, as each song seems very carefully arranged. A very polished album. I give it 3.5 stars because it is not a Progressive Rock album in the strict sense, but is has very enjoyable songs and arrangements. For me the best music is the music that has a personal story wrapped around it to give it some lasting context. Some fans get irritated by these kinds of reviews. They only want to know one thing – is the music good? Well, my opinion is – that really depends. Some of the most technically proficient music in modern times has also been some of the most boring to listen to (see the term “supergroup” on Wikipedia for several good examples on this point). By the same token, some of the most memorable music would certainly not be too challenging for even a modestly talented grammar-school student to play (see…… never mind – you get the idea). And anyway, the people who hate stories with their reviews have stopped reading already anyway, so here we go. Props to the dreamers. This album was released late in 1977. ELO was certainly not an unknown band, having had all six of their previous studio albums chart in the UK, US, or both, and having produced a whole pile of hit singles. But Out of the Blue arguably marked the peak of their professional career. 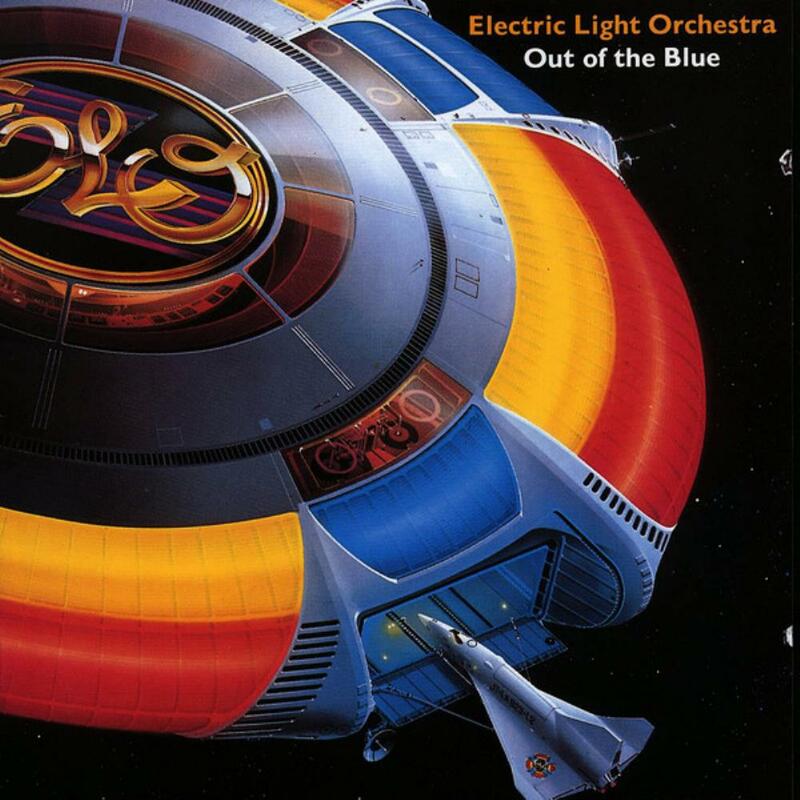 It’s not the most progressive album, but then this was ELO so really – expectations were already set. The vinyl release was four sides of highly accessible, mostly upbeat, often danceable, and extremely well-produced pop music with just the right hint of sophistication with Mik Kaminski’s violin and the twin cellos of Hugh Mc Dowell and Melvyn Gale. 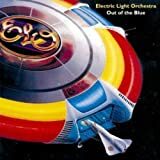 Really, only my opinion but if it weren’t for the strings this album (and much of ELO’s other work in the latter 70s and early 80s) would be considered nothing more than dance pop. Some people consider it that anyway, but again – those people probably haven’t made it this far into my ramblings, so que será. It came out late in 1977, but really only started to make a big impression over on my side of the big pond during that latter part of the winter of 1977-1978. Times really were slower then, MTV wasn’t around, and Al Gore hadn’t invented the Internet yet, so it often took weeks after an album hit the stores before people started to really notice it. Mr. Blue Sky is living here today”. This is the song that started rumors about hidden messages being put into ELO records, with that weird keyboard thing at the end that sounds like someone telling you to turn the record over. The guitars, like many Lynne tunes, are heavily Beatles-influenced, and I read an interview that said the clunky sounding cymbal sounds early in the song were actually drummer Bev Bevan hammering away on a fire extinguisher. Regardless, this was a hit even though it probably shouldn’t have been since it’s really not much of a song, but the timing of an early spring release was pure brilliance. By this time I had pretty much decided to buy the album myself, even though the only cash I had coming in was from a newspaper delivery route so I was pretty choosy about which albums I would part with cash for. “Sweet Talkin’ Woman” was also on the radio around this time, and by now ELO was one of the biggest radio-play bands in America, especially since some of the stuff from A New World Record was still being played pretty regularly. After I bought the album I got to hear all of it at once, which turned out to be an advance screening of “Wild West Hero” and “It’s Over”, both of which would be released as singles and show up on the radio later in the year. The rest of the album includes a number of interesting bits of music that I played until the grooves were pretty much worn out. “Across the Border” had those horns that sounded like something from Herb Alpert and the Tijuana Brass to me, really out-of- place but charmingly clever amid the soaring keyboards. “Night in the City” is a song that to me embodies so many sounds of the 70s that it should be used on the soundtrack of any movie made about that period forever. I wonder who I could write to make that happen? I don’t know if that ‘tok…tok…tok…’ in the middle is a cowbell, but if it is that would just be perfect. The cellos on this one surface during the various chorus transitions and really provide a nice flair, almost enough to offset the cheesy vocals. 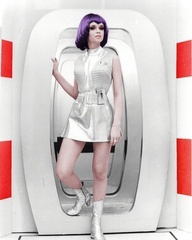 Like I said, this one is all 70s. “Starlight” is a slow, sort of ballad, but any pretense of seriousness is lost as soon as Lynne’s Robin Gibb-like vocals kick in. No matter, here again the cellos are brief and subtle but add some nice texture. I don’t know what Lynne was thinking with the truly appalling “Jungle”, but despite the stupid lyrics, hollow vocals, ridiculous percussion, and abrupt ending, I found myself singing along every time I heard it anyway. More goofy vocals on “Steppin’ Out”, I think bassist Kelly Groucutt sings on this one too as at least one of the backing voices is at least an octave lower than Lynne usually was. The vocoder comes in at the end here too, one of those 70s instruments that was pretty much considered overused any time it was used at all. This one is almost all strings except for the vocals, and I suspect was a big hit in concert. The third side of the album consists of something called ‘Concerto for a Rainy Day’, since all but “Mr. Blue Sky” have rain themes. There’s a little bit at the beginning of “Standin’ in the Rain” where the cellos and violin do this staccato ‘chop/chop/chop/chop’ thing that I used to think was just to set a kind of tense mood (you know, like the nervous strings in the soundtrack of a horror movie right before the chick gets axed by the bad guy), but I read years later that they are actually pecking out the phrase “E-L- O” over and over in Morse code. I think that Jeff Lynne must have had too much time on his hands on the studio back then. The vocoder announces “Big Wheels” at end as the strings transition to that song. For some reason my older brother totally loved this song, don’t know why. It’s kind of a throwaway really, a slow mellow tune with some nice strings and a brooding, chating backing vocals track, but nothing to write home about for sure. The last track on the ‘Concerto’ is “Summer and Lightning”, a sort of love-and-hate tune about a summer love that is headed for the rocks. This is another forgettable song except for the lead-in vocals to the chorus (“Hear it comes again….”), and the abrupt tempo change right before the last chorus which sounds a bit like a throwback to “Jungle”. About half of the lyrics for this song seem to be missing from the liner notes of the original vinyl release too, for some reason. By the time the last side of the album rolls around you can get a little bit numb from listening to so much upbeat, poppy music along with Lynne’s sugary falsetto, but I can still sit through the whole thing at a single stretch today, so that must be saying something (can’t do that with most other double albums, that’s for sure). “Sweet is the Night” is a song that had to have been made as a closing concert number, and would have been a perfect closing to this album with its multi-vocals choruses and simple guitar riffs. But Lynne decides to go on for a bit, for whatever reason, with an eerie, watery instrumental bit that is also pure 70s, before kicking up eventually into almost an 80s Moody Blues-sounding keyboard meandering bit that actually seems to lose focus at times before fading away. “Birmingham Blues” is almost devoid of strings, favoring Lynne on guitar instead, although the cellos are still audible in the background from time to time. I guess this is Lynne’s ‘back on the road again’ tour weary song. The album finally winds to a close with the completely silly “Wild West Hero”, yet another acknowledgement that some musicians weren’t nearly as concerned with propriety and airs back in the 70s as they are now. Lynne actually plays this as serious with a mellow piano and pensive vocals that dream about being a true American wild- west hero of the John Wayne ilk. Whatever. The ragtime piano riffs and comically bluesy guitar are actually pretty funny if you allow yourself to laugh at them, but it’s kind of an odd choice to close such an otherwise well-produced album. So that’s about it. This will never be seen on a best-of list next to Genesis or King Crimson, but I suppose Jeff Lynne managed to buy a few Bentleys with the profits, and it certainly brings back many vivid and happy memories for me. And probably for lots of other middle-aged guys who were young teens at the time. For that it gets its proper due, and four stars. I was not really enthusiast with their last studio album, so I was quite suspect before I heard this one. The commercial and poppy mood is developed more and more but the harmonies are again great. The master in melodies has striked again with pieces like "Turn To Stone", "It's Over", "Sweet Talkin' Woman" : they truely belong to the best ELO repertoire (not taking int account their first two effort which were the most prog ones). These songs might sound childish or easy listening but they are really nice. Nothing to do with "Kuiama" of course but pleasant to hear. 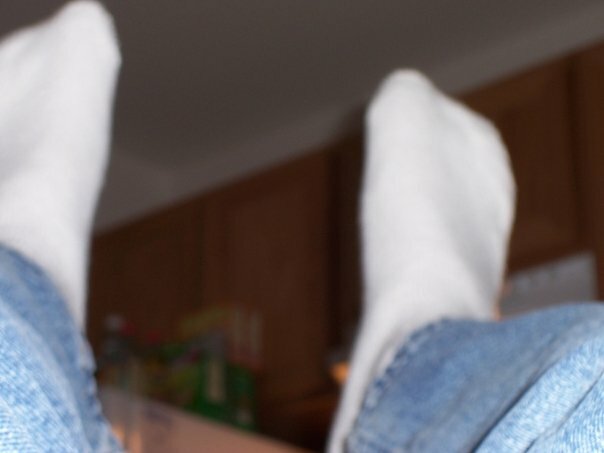 No need of thinking too hard : they are just meant to provide a good peaceful moment and they reach their goal. "Across the Border" is more rock'n'roll oriented : good violins like in the good old days. Another nice moment. "Night In The City" is more complex : wonderful vocal harmonies and great orchestration. "Starlight" is a pop ballad but again, nothing wrong with it. Somewhat remininscent of "El Dorado" which means great cellos and vocal harmonies. This album is really pleasant so far : only good numbers which is a good surprise after the disappointing "A New World Record". "Jungle" is the first poor song so far : the elements are not really working together and the melody attemps to be catchy but fails. It is premonitory of what will await the fan in later works, unfortunately. I will never understand that "Believe Me" only lasts for 1'21". This should only be the intro of an epic ELO track. A fabulous song. It is very rare that I am so keen on such a short piece of music, but really it is a very subtle track. A short but intense moment. "Steppin' Out", "Standing In The Rain" and "Big Wheels" are great ballads with beautiful chord arrangements (but this is no surprise of course) and very Beatles oriented. IMO, it is obvious that Jeff wanted to achieve another "El Dorado" but just missed it by an inch. Some more rocking songs would have boosted this effort and make it a bit more varied because the problem here is the feeling of repetitiveness even if almost all songs are very nice they are built on the same structure and tempo. "Summer & Lightning" : for very brief moments (in the intro and twice iduring the song we have a kind of string guitar like in "Just A Little Bit" from Supertramp - also released in 1977). Melody is sub-par comparing with the rest of the album (but it is only the second weaker track). "Mr Blue Sky" is fortunately a more rythmy tune, just to wake up a bit : great vocal harmonies (as usual) and a very nice backing band (this song would have fit with no problem on El Dorado - my ELO fave album if you don't know yet...). One of the best song on this whole effort. "Sweet is the Night" is another trick from Jeff's hat : either he was tought on how to write such wonderful melodies or he must be a bloody gifted song-writer (probably both actually). A pure pop beauty. "The Whale" is the weakest track of the album (but so far only two of them were poor). Some computerized voice upon supermarket/elevator music. Skip it. "Birmingham Blues" with its West Side Story background violins is another weak track : I guess Jeff got tired at this point. "Wild West Hero" is an average closing number : I would have expected a more inspired or brilliant number to finalize this work. It is a pity that this very good album closes on three very average tracks (I guess their management cleverly recognized this and deliberately placed these songs at the end of the fourth side of this effort). But even the Beatles with their White Album will have some weaknesses (to say the least) to release a consistent double LP, so who can blame Jeff for these (very) few weaker moments ? How fantastic would have it been to get a collaboration with Jeff and three (John, Georges and Ringo) of the fab four at the time of their split (1970) which corresponds to the early days of ELO ? No one will never know (although two of them will join in 2001 for "Zoom"). Four stars. Where did all the prog go? So to sum this one up, it's a great album (probably ELO's best, although El Dorado comes close) and definitely worthy of 4 stars. 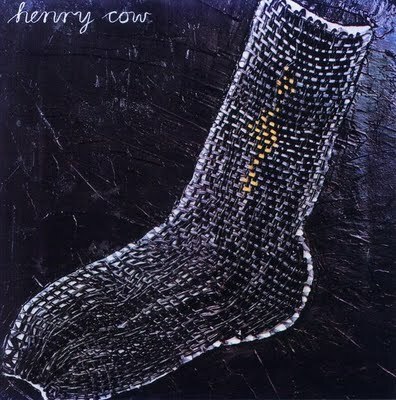 Unfortunately, since there is hardly any prog on the album at all (the only meaningful exception might be The Whale, which sounds like something early Floyd might have done if they weren't perpetually depressed and paranoid, think Careful with that Party Favor, Eugene), this only rates 4 stars. 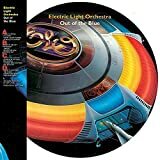 I think the album name "Out of The Blue" represented the situation and the facts that this album was coming out in out of the blue fashion by its composer, Jeff Lynne. It took only three and half week to write the music followed by two months period of recording in Munich. Surprisingly, the result was a good album which reached chart positions in many countries. I can only see from musical standpoint that after the success of their previous album "New World Record" (1976) the band faced another challenge to maintain the success of its predecessor or even making it better. The result is quite an ambitious product: a double album, which represented the band's first. The album includes an epic "Concerto for a Rainy Day" comprising four tracks : "Standing in the Rain" (4:20), "Big Wheels" (5:10), "Summer and Lightning" (4:13), and "Mr.Blue Sky" (5:05). Through this album Jeff Lynne proved that he was a chart maker through making the music in orchestral arrangements which attracts both music lovers: regular pop and classical music fans. All seventeen tracks in this album are song-orientated arrangement and putting more emphasize on melody line. As far as orchestral arrangement this album is thicker than the predecessors. I admire the band for being successful in marrying regular pop music with orchestra. Well, actually, if I go into deep with what constitutes an ELO music, most of their compositions are basically neat even without an orchestra or string arrangements. Just imagine, you take out the orchestra part at "It's Over" and replaced it with piano, you still can get the beauty of their music. Let's have a look on some of the tracks . The flavor of pop has been put upfront by the band through "Turn to Stone" (3:48) which is an upbeat music with good melody augmented with excellent orchestration. It flows beautifully to the hit "It's Over" (4:08). No question, this hit was quite popular at the end of the seventies as it was a regular radio play all over the world including my country. It's a neatly composed song. The following track "Sweet Talkin' Woman" (3:48) is another excellent track with nice melody which without string arrangement this track is still a nice track. "Across The Border" (3:52) not that popular but it has a nice violin intro followed with Beatles-like music augmented nicely with brass section. "Night in the City" (4:02) follows the path of previous track with its upbeat music and choir work. "Starlight" (4:30) reminds me to the kind of Supertramp especially on its piano style. Through this album ELO wants to include some experimental track in "Jungle" (3:51) by maintaining its main style. It sounds like an African music dominated by percussion. "Believe Me Now" (1:21) serves like an overture in mellow style with grandiose orchestration which bridges nicely to "Steppin' Out" (4:38), a mellow track with Hawaian guitar in its intro followed with nice vocal line. "Concerto for a Rainy Day" starts with "Standing in the Rain" (4:20) which kicks with an ambient sound of rain followed with string section resembling the classical music segments combined with great piano work and solid orchestra. The song moves in crescendo with intense orchestration and dynamic choirs supported by piano work. The second part of the epic, "Big Wheels" (5:10) represents psychedelic flavor with nice flow and melody. It moves to the third "Summer and Lightning" (4:13) using acoustic guitar rhythm section. The end part of the epic is an excellent track "Mr.Blue Sky" (5:05) which brings the music in upbeat The Beatles way. I like the female choirs which has enriched the textures of this song. Overall, this album is very good in terms of composition as well as musicianship as all songs contained here in this album were nicely crafted by Jeff Lynne and friends. I consider, like other albums of ELO, this album is quite easy to digest for regular music buffs. It's recommended for those who love music with string arrangements / orchestration. Keep on proggin' ..! Just another ELO album, this time a double. Yawn! This is a very typical ELO album, and it sounds basically exactly the same as the band's two previous albums! Indeed, listening to this double album is a bit like listening to the two previous albums - one directly after the other! Do I need to add that it becomes rather tedious? ELO had established a formula by this time, and they stick to here by the book. The melodies are extremely Beatles inspired, on the verge of being rip-offs. 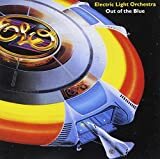 There are some good songs on this album for sure, but they all sound too similar to each other and to previous ELO songs to really stand out from the crowd. Like previous albums, this album too is full of well-written and well-recorded Pop music, but variation and, especially, "progression" is basically absent. It is first with Standing In The Rain that the album really gets off the ground, and that is clearly too late. If I had been ELO I would have made this into a single album and opened it with this song. There are some traces of progressive Rock in this song. But it is really only traces. Overall, this is about as "progressive" as the music of Elton John. Like most post-Eldorado ELO albums, this is only for fans and collectors of the band. This is not prog, but it is the highlight of ELO's post-transformation career. Very well-crafted sophisticated pop/rock songs like Turn to Stone, Starlight, Sweet is the Night, Steppin' Out, and Jungle are hard not to enjoy. If you're in the mood for some less complex, but still artistic music, this is ideal! The Concerto for a Rainy Day is the biggest treat. This is really just four songs on the actual album, however, and it is not a traditional prog epic, but they all have to do with weather. They are all heavily enjoyable and crafted meticulously to art-pop/rock perfection. Other standout songs include the depressing It's Over, the quasi-prog instrumental the Whale, and the closing anthem Wild West Hero. I hesitate to say this is an excellent addition to a prog collection, but it certainly is a good album! If you want to hear the best of straightforward sophisticated 70s pop/rock, this should be the 1st album on your list. Jeff Lynne's compositional method is very much song-orientated rather than album- orientated. 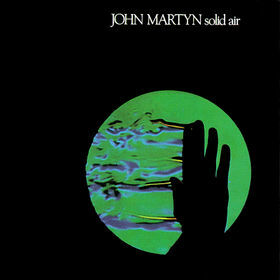 Yet, his very balanced command of mood, sound and thematic material leads to this being one of the most radio-friendly yet 'deep' concept albums out there. It seems to loosely tell a tale about aliens arriving on earth in their spaceship; encountering strange phenomenon such as our planet's weather, the contrast between the ocean, jungle and city environments, and of course, their relationships with each other and with humans. The four sides of the album are similar musically but with different things to say and varying degrees of listenability. 'Turn to Stone' is a wonderful piece of synth-rock that expresses the pain one of the aliens feels as their lover leaves for planet earth. Perhaps 'It's Over' is the other alien's response! Both are very catchy, yet high quality emotional and musical constructions that set the tone for the rest of the album (90% of which could work as singles). 'Sweet Talkin' Woman' and 'Across the Border' deal with the alien's experiences on earth; perhaps falling in love with humans was a bad idea.... They expand the musical array into rock and roll territory, as well as some 'tijuana brass' style accompaniments on the latter song. Synths and vocoders are used to good effect. Experiences of city night life are expressed wonderfully in the next song 'Night in the City', with its quirky and energetic sections that blend pop with the avant-garde. 'Starlight' has a more "relaxed disco" feel to it, and deals with the spaceship's attempts to call the alien to come back home. 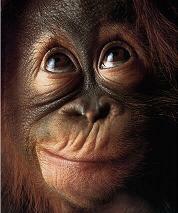 'Jungle' sounds as it's name suggests, complete with Tarzan-calls! Then comes the conclusion to the first two sides in 'Steppin' Out' (and it's prelude 'Believe Me Now'); an epic, symphonic song that describes how the alien's former lover has decided to leave the spaceship and come down to earth to find them. The aptly named mini-album 'Concerto for a Rainy Day' is almost a side-piece to the main storyline, describing the second alien's experience of Earth's variable weather. 'Standin' in the Rain' is very prog-rock, with Overture-like sections that introduce the suite with quite a dramatic effect. 'Big Wheels' links the inclement weather to the alien's sadness over their lost friend, while 'Summer and Lightening' is much more positive, conveying an increasing optimism as the sun comes out, with plenty of percussion and acoustic guitar. The finale here is the very famous 'Mr Blue Sky', ELO's biggest single yet one of their more complex, multi-part songs. It needs no description I'm sure. The final side of the album details the aliens finding each other, firstly in 'Sweet is the Night'. The instrumental 'The Whale' is a calm, techo-ballad that conveys the mood of the ocean without the need of lyrics. The last two songs 'Birmingham Blues' and 'Wild West Hero' are less serious pop songs, adding western and ragtime styles to the already eclectic mix, and even stealing some Gershwin! Although the closer is a high-point on the album, it bears little relevance to the main storyline as far as I can tell. Out of the Blue is a somewhat misunderstood "pop" record that needs a bit more attention from listeners before they appreciate it as a complete work (and not a mere list of okay-good songs). Only two or maybe three of the songs are forgettable; all of the rest stand up well on their own and as part of the story. The instruments are of course band-based and orchestral, which, in addition to plenty of innovative electronics and sound-effects, makes for a very rewarding, thick sound. Vocal harmonies and thoughtful lyrics complete the mix; just don't judge this monster based on any pre-conceptions. One of the best things about owning this treasure on vinyl is the album cover and awesome spacey gatefold. The imagery is unforgettable and captured my imagination in the late 70s. The music is also tinged with sci i themes and spacey effects. The blend of classical music and rock is astonishing, and it begins so well with Turn to Stone with infectious chorus and trademark harmonies. Sweet Talkin' Woman is one of the most well known singles that dominated radio airwaves but I also like the lesser known songs such as Night in the City, and one of my favourites on this double album is Starlight. 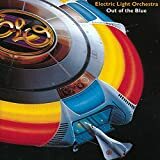 Other treasures include Big Wheels, and the indispensable Mr.Blue Sky that catapulted ELO to number one and became as iconic as the starship on the album cover. Another nice song is The Whale and overall this is perhaps one of the greatest studio albums of the band and I believe it is one of the most popular of this great innovative band. 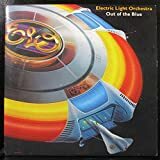 Post a review of ELECTRIC LIGHT ORCHESTRA "Out Of The Blue"